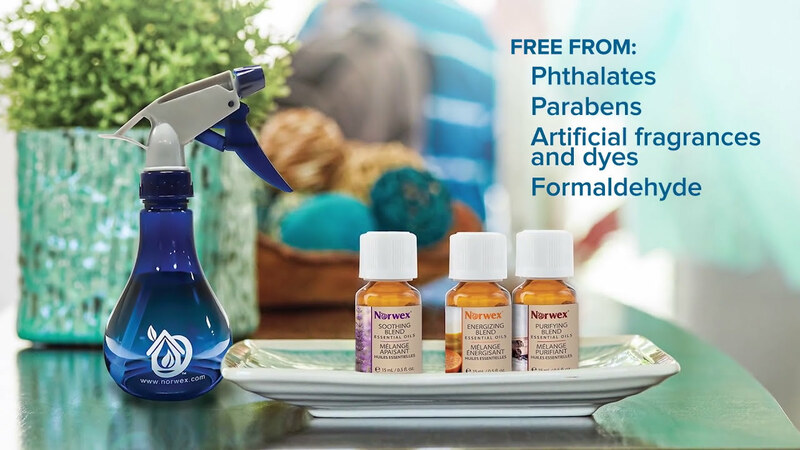 Norwex Essential Oils are the perfect alternative to air freshener sprays and scented candles that often contain harmful chemicals like phthalates. Ingredients for our natural Essential Oils are carefully cultivated and meticulously extracted at a specific time of day to ensure each essence is at its peak. Once harvested, these essences are crafted in small batches requiring precise combination and delicate balance. Essences are then left to mature naturally in a cool environment for several days, ultimately creating our unique botanical blends. Enjoy in every room, including play and pet areas. Each exhilarating Essential Oil blend will turn your home into a beautifully scented haven. Some studies suggest that several essential oils like those extracted from Lavender, Rose, Orange, Bergamot, Lemon, Sandalwood and others have been shown to help relieve anxiety and stress.